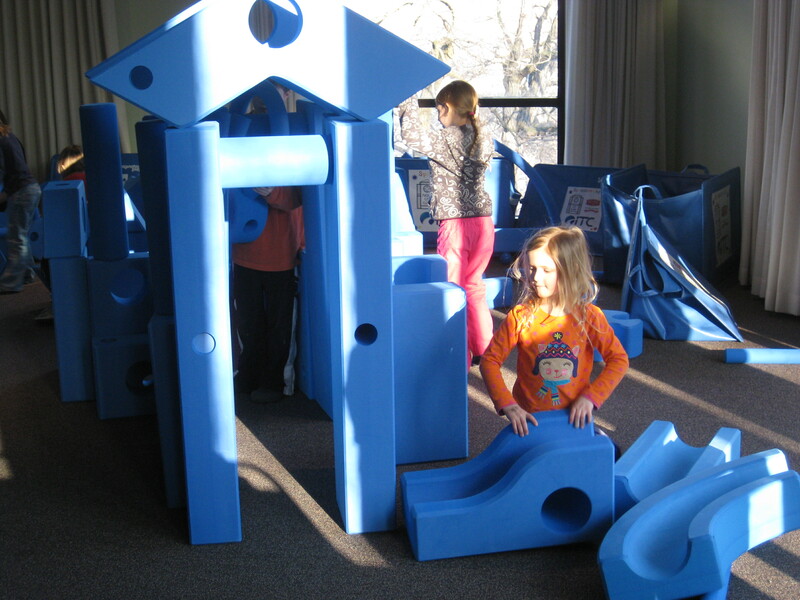 The Imagination Playground has moved inside until next summer! During the winter months the blocks live in the Salsbury Room and remain open daily during the week when there is not another event going on in the Salsbury Room. To see the hours they are available check out the Museum’s Event Calendar. Make sure to call ahead (641-421-3666) if you are traveling to the Museum just to use the Imagination Playground to make sure it is available. Please check the Museum’s Events Calendar for current Imagination Playground Hours. You must click on the Imagination Playground event for the day to see the exact hours. If there is no Imagination Playground event for the day then it is open during regular Museum Hours. This interactive playground provides a hands-on experience for children and families. 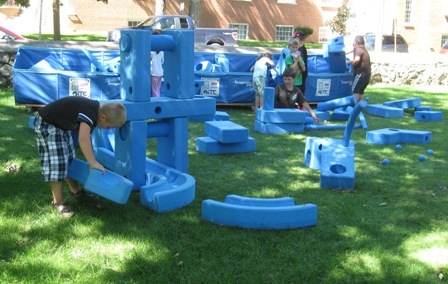 During the summer months the blocks will be on the lawn during the Museum’s open hours (weather permitting). In addition, due to the block’s moveability and accessibility, the Museum brings the blocks to community events such as Mainstreet Mason City’s Friday Night Live. There is no charge to use the playground at the Museum. Participants using the playground may be any age, but for safety and security reasons children 12 and under must be accompanied by a parent or adult over the age of 18. This project was funded through grants from Mason City Clinic, ITC Midwest, and a sponsorship by Midwest Roofing and Mason City Overhead Door. 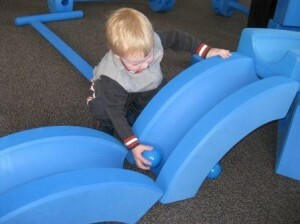 The goal of this creative play center is to promote healthy active living and innovative play. 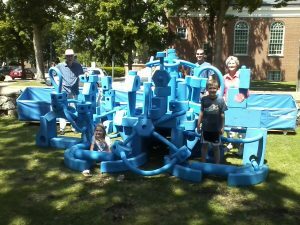 This Imagination Playground is the first ever in Iowa, and the only one of its kind within a 2 hour radius of Mason City.